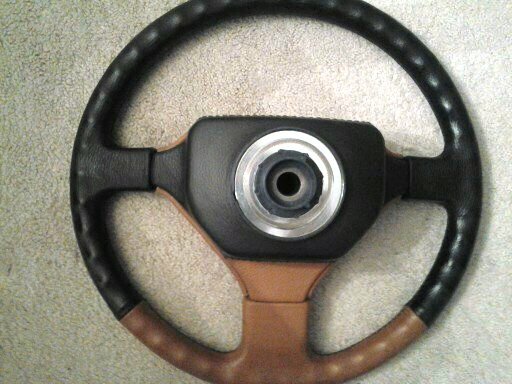 When I had my 88 redone, I had the steering wheel which was ripped and torn recovered. I searched and searched ..and found this guy in Mexico who did beautiful work at reasonable prices. I sent him a wheel and what a job he did! When the 88 was totaled I pulled the wheel. It is so beautiful I'd like to frame and mount it. Here it is and you can see the quality of the work. Damn! Looks good! 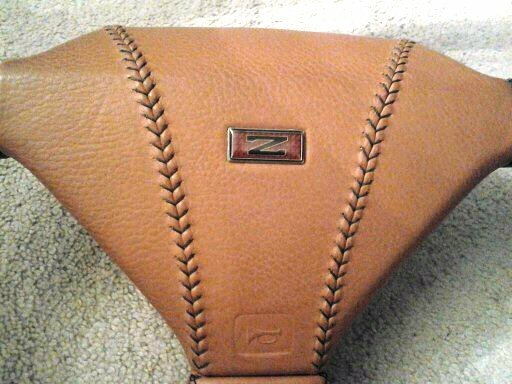 Must feel great having that new leather feeling turning corners! Do you have a link/contact in for for the guy? Yes, very cool! As I said that car got taken out..but while I had the new wheel it was sweet. He has links to pictures and styles..Price was unbeatable! It takes a little time getting used to the new feel. It's a work of art. 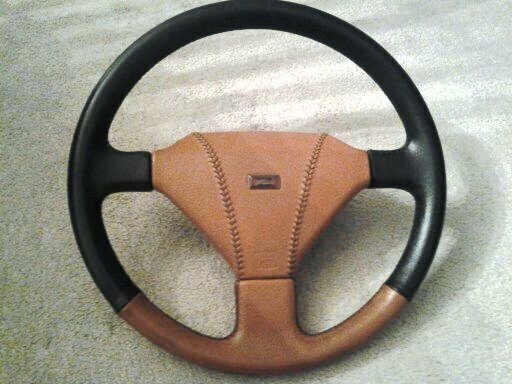 I could design a whole Z31 interior to go with it. Does your guy do seats and dash? Headliners? Awsum. I have not spoken to him in 2 years..but you are correct. He is an artist! First class and the nicest guy. He has pictures of all the stuff he has done. I wold say "yes"..email him and tell him Donn with the Z car referred you.